a fully-featured Mac solitaire game collection with convenient card play features not found in other Mac solitaire games. Play the classic Canasta card game against the computer or play an online opponent over the internet. 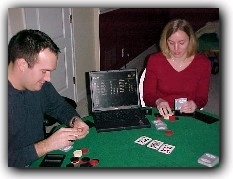 Poker Tournament Manager adds a professional feel to your home or commercial poker game, just like a Las Vegas casino!